The aim of the study was the biomonitoring of the chronic exposure to Pb by measuring its levels in blood, urine, and hair of battery workers. Blood lead (BPb), urinary lead (UPb), hair lead (HPb), and urinary δ-aminolevulinic acid (UALA) levels were determined for 52 workers in a battery plant and compared to those of 20 non-occupational exposed subjects (controls). BPb and UPb levels were determined by graphite furnace atomic absorption spectrometry (GFAAS). HPb levels were measured by triple quadrupole ICP-MS and UALA levels were determined using cation exchanger column. The measured levels were significantly higher compared to the controls exceeding the OSHA cutoff values (p < 0.01). The GM mean levels of BPb, UPb, UALA, and HPb of workers were 715 μg L−1, 331 μg L−1, 16.3 mg g−1, and 234 μg g−1, respectively. The GM mean levels of BPb, UPb, UALA, and HPb of controls were 93.6 μg L−1, 36.3 μg L−1, 1.9 mg g−1, and 1.8 μg g−1, respectively. Significant correlations were observed between BPb and UALA (r = 0.630, p = 0.000), UPb and UALA (r = 0.566, p = 0.000), and between BPb and HPb (r = 0.466, p = 0.004). The significant correlation between BPb and HPb suggests the usefulness of hair for assessing occupational exposure particularly when the study area presents medium to high levels of Pb pollution. The association between Pb biomarkers and potential confounding factors revealed significant influence of the occupational factor over smoking and alcohol consumption. 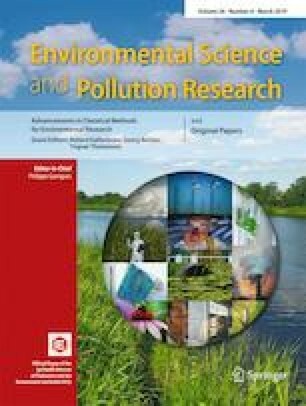 The results of this study urge for the reinforcement of the implemented engineering controls and safety measures in order to reduce exposure and to address the health issues related to Pb poisoning.